The Himachal Pradesh CPM lambasted at the BJP over the issue of HPCA and asked the state government to immediately appoint an administrator over the HPCA to ensure that the hoodwinking of the people of the state comes to an end. The party has also asked for the take over of the land being allotted to the HPCA for the construction of a five star hotel in Dharamshala and hand it over to the Central University, which was desperately looking for a campus in and around Dharamshala. Party leader Tikender Singh Panwar in his press communiqué stated that the common land of the people could not have been given for commercial purpose. Also the grounds being given to the HPCA in Lalpani, Nurpur and such other places be handed over to respective schools. the previous BJP regime facilitated the take over of the organization which was suitably amended to convert it into the fiefdom of BJP. The HPCA registered under the societies act could not have been dissolved arbitrarily as the act forbids doing so. The HP Societies Act 2006’, chapter 8 and Rule 43-44 speaks about the amalgamation, division and dissolution of the society under the act. It states that if the government is contributor to the society it cannot be dissolved without the consent of the government. Even the BCCI is registered under the societies act in 1932 in Madras. However to ensure the complete control over the HPCA various tactics were adopted by them. In July 2005 a company was floated under the name of Himalayan Players Cricket Association. This was changed with the registrar companies to Himachal Pradesh cricket association. Interestingly in both the HPCA under the societies act and the present company the board of directors remained the same. The HPCA then smelling that the BJP was moving out of power passed a resolution dissolving the society and merging it with the company on 22nd September 2012. On 2nd November, 2012 one of the directors informed the Registrar societies about the status change. Interestingly, the registrar society, on May, 13, 2013, July 1st and 23rd July has written series of letters to the HPCA, but they have not responded. It’s in such a background that the CPM asked the government to appoint an administrator over the HPCA and take the reigns in its control so that the game can be saved and does not become a heaven for money changers and those interested in money laundering. The CPM has accused previous BJP led Govt for promoting and sheltering land mafia in state and blamed them for bringing in this culture of deceit and land mafia in the state of Himachal Pradesh. Tikender said that it was no hidden fact that the government had become a facilitator for parting of people’s land, common land of the villagers and land belonging to the government to big giants in the field of real estate. There were efforts to usurp Annandale, thanks to the agitation led by the Shimla Nagrik Sabha the game plan was foiled, he added. 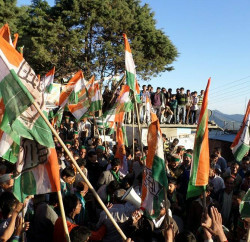 The party also feared a strong nexus in between the BJP leaders, life time members of the HPCA and the ones who constructed the Dharamshala stadium. CPM asked to thoroughly probe the case of the construction of the stadium as it is learnt that the contract was awarded to ANS construction which stands for Amar Nath Sharma who was a life time member of the HPCA. Tikender added that his sons, who runs the company and happens to be one of the largest financers of the BJP namely Mohinder Sharma, Ashwini Sharma also is learnt to be life time members of the HPCA. CPM has also warned the ruling Congress party to not to take the people of the state for ride and in the past too there have been attempts to hush up the matter. CPM stated that the Congress must respect the mandate of the people and act diligently as it did during the Ram Dev issue and ensure that there is through probe associated with raids conducted to ensure that this becomes a deterrent in the future. 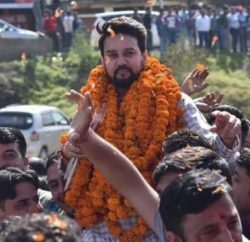 Earlier Congress leader Ram Lal Thakur has also leveled serious allegations against HPCA and its president Anurag Thakur and accused him for replacing its constitution to take it under his control. 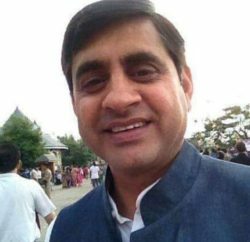 Even HLP, a breakaway group of BJP, has also slammed BJP and Prem Kumar Dhumal for defending the illegal actions of the Himachal Pradesh Cricket Association and accused him of misleading people on the issue by distorting facts.